I wanted to more formally thank you for you help in preparing, advertising, negotiating, and closing the sale of my condominium back in July. As you know, this was my first home and thus, my first sale, so I was nervous and full of questions. When I mentioned I was thinking of selling my unit, some of my friends highly recommended you for your energy and dedication, as well as your positive personality. This was proven to me during our initial conversation, as well as your quick response to all my questions throughout the entire process. Your willingness to visit my condo and provide suggestions for improvement, as well as helping me get the projects accomplished in a timely, cost-effective manner was much appreciated. Your dedication to following-up with me throughout the entire sale eased my apprehension and made the whole mystery of "selling a home" almost easy! I am sure that you would approach the details about purchasing a home in the same energetic ad positive manner. I highly recommend Jason to everyone! Michelle and I wanted to write you and let you know how much we appreciated all your help during our recent home purchase. Buying a home is an intimidating and challenging task buy you made it easy. We were impressed by the way that you really worked to understand exactly what we were looking for and assisted us with narrowing our home search. I have an extremely busy work schedule and the fact that you were willing to drive to my office and home on multiple occasions so that we could sign paperwork was a huge plus and true testament of your flexibility. All that being said, one of the things that I thought really set you apart was that you didn't forget about us after the purchase was made. You followed up on all of the outstanding details including additional inspections, reports and repair work. It would have been easy for you to walk away once the purchase documents were signed and yet you made sure that everything was one hundred percent complete. We will be and are referring all of our friends to you for their next home sale and or purchase. We know that they will not be disappointed. I’ve worked with Jason Zaitz on two occasions, once to purchase my first home, and again four years later when I was ready to sell it. He played a pivotal role in guiding me through each transaction. Jason worked hard, illustrated a great understanding of contract details, and provided me with outstanding advice about how to prepare my home for sale. Within two weeks of having my home on the market I had multiple competing offers and we closed escrow without a hitch. Jason is a very personable, honest, and straight forward Realtor. I recommend Jason often when I here people are looking for a Realtor, and I look forward to working with him on my next transaction. We just wanted to take a minute to thank you for all your help in the selling of our home and helping us to find our new one. Your direction and counsel allowed us to sell our first home for more than we thought possible and you found us the home of our dreams! When we purchased our first home, we had such a bad experience with our first Realtor that we were very tentative about going through it again. You've made this a comfortable and incredibly positive experience. Your professionalism and attention to detail really helped us to feel confident in the process. You're accessibility and commitment to us really was reassuring. We just can't thank you enough. We hope you've been getting calls, as we've been recommending you to friends, family, co-workers, strangers, everyone. We truly feel we couldn't have had a better Realtor and when we hear people talking about buying or selling their homes, we recommend you without reservation. Thank you again for all of your hard work in finding us a new home. We were extremely nervous about selling our old home first before buying a new one, but you put our mind at ease after the first day we met in person. The fact that you found a buyer for our previous home in the first week, and helped us find our new home in two weeks is a credit to your hard work and dedication to your clients. We couldn't have been more pleased with our home selling and purchasing experience with you, if we ever have friends or family in the market for an agent, we will definitely be referring them to you. We met Jason while he was canvassing our neighborhood. We were renting at the time and we were interested in buying a townhouse. We called Jason and the rest is history! He is such a professional so very patient. He takes all the time that you need to answer questions, gather information, show property and wait for your decision. He is very enthusiastic and tremendously positive. Looking for a new home can be stressful but his encouragement and positive attitude made it easy for us. We love our new townhouse and are enjoying the great location. We highly recommend Jason whenever we hear of someone looking to buy or sell real estate. Jason sold our daughter and son-in-law their new home and helped them sell their previous property. They were so glad we referred him and they absolutely couldn't be happier in their new home. Thank you so very much Jason. I wanted to personally thank you for your help with our recent home purchase. We absolutely LOVE San Ramon and we are so glad you represented us! My parents referred my wife and I to you and we will be recommending you to every one of my family and friends without hesitation. "We lived in our San Ramon home for over 20 years, but a job opportunity came up, and I had to relocate out of state. I needed to sell my home quickly, and I wanted a real estate agent with proven experience selling homes in the San Ramon area. Several years before, I worked with Jason to purchase a home. He showed us a number of excellent properties (and later I regretted my decision NOT to buy). I also met with other agents, but they seemed to push us to make a decision that we were not comfortable with. We never got that experience with Jason -- he has alot of patience and really wants his clients to find the right home. So when I needed to get results, I gave Jason a call. He immediately devised a marketing plan, and started contacting agents and clients. We were surprised to see a flood of potential buyers interested in the property, and our home sold in less than a week at a price exceeding our asking price. Once you meet Jason, you will want him to represent you. "Jason helped me purchase my first home in Pleasanton, CA. I am a veteran of the armed forces and was using VA financing. Jason was very knowledgeable about all the documentation I needed to make the process go smoothly. He set me up with a VA approved lender who was also well versed in the process of a VA loan. After helping me select the house, Jason worked closely with the selling agent to make sure all the prerequisites set by the VA were met. As this is my first home, I will be looking to upgrade in a few years. I will definitely return for Jason's help when that time comes.Jason helped me purchase my first home in Pleasanton, CA. I am a veteran of the armed forces and was using VA financing. Jason was very knowledgeable about all the documentation I needed to make the process go smoothly. He set me up with a VA approved lender who was also well versed in the process of a VA loan. After helping me select the house, Jason worked closely with the selling agent to make sure all the prerequisites set by the VA were met. As this is my first home, I will be looking to upgrade in a few years. I will definitely return for Jason's help when that time comes. Jason helped me with my home purchase and made the experience painless. He is an excellent agent who is very easy to communicate with and is very responsive throughout the process. He was very patient as I was pushing to close quickly and helped the push the process through title to meet my tight deadline. He is also very knowledgeable and walked me through every step of the process so I had an understanding of all of my options along the way. I would definitely use Jason again if I was selling or buying a home.Jason helped me with my home purchase and made the experience painless. He is an excellent agent who is very easy to communicate with and is very responsive throughout the process. He was very patient as I was pushing to close quickly and helped the push the process through title to meet my tight deadline. He is also very knowledgeable and walked me through every step of the process so I had an understanding of all of my options along the way. I would definitely use Jason again if I was selling or buying a home. "Jason is knowledgeable and easily accessible through email and phone. He showed us many houses in the evenings and some in the weekends too. He is very flexible in timing and he has answered all the questions I have asked him so far about buying houses and about the property I had visited. He is very friendly and an excellent agent.Jason is knowledgeable and easily accessible through email and phone. He showed us many houses in the evenings and some in the weekends too. He is very flexible in timing and he has answered all the questions I have asked him so far about buying houses and about the property I had visited. He is very friendly and an excellent agent. Jason helped me with the recent purchase of my home. He was very professional and made the process as seamless as possible for me as the buyer. He arranged all property viewings and communicated effectively to the selling agent, the loan broker, and the title company. He was very familiar with all areas we considered buying in and had great knowledge of fair property values. With his help, we were able to find a home we loved and closed very quickly on it. His professionalism and patience made what could potentially be a very stressful process enjoyable.Jason helped me with the recent purchase of my home. He was very professional and made the process as seamless as possible for me as the buyer. He arranged all property viewings and communicated effectively to the selling agent, the loan broker, and the title company. He was very familiar with all areas we considered buying in and had great knowledge of fair property values. With his help, we were able to find a home we loved and closed very quickly on it. His professionalism and patience made what could potentially be a very stressful process enjoyable. "We were extremely pleased and fortunate to have had Jason Zaitz as our Realtor. When we decided to sell our San Ramon home, we interviewed several local Realtors and selected Jason primarily because of his successful sales record, knowledge of the Twin Creeks area, and raw business acumen. Since we were on a tight schedule and in Europe part of the time, we needed someone who could efficiently and quickly sell our home with very little assistance from us. In short, we needed a professional we could trust. Jason exceeded our every expectation by selling our home within one week at a competitive market price. Selling a home is always stressful but Jason's polite, personable, and mild mannered approach made it (almost) easy! Most impressive to us however, was Jason's extremely high personal character and business integrity.We were extremely pleased and fortunate to have had Jason Zaitz as our Realtor. When we decided to sell our San Ramon home, we interviewed several local Realtors and selected Jason primarily because of his successful sales record, knowledge of the Twin Creeks area, and raw business acumen. Since we were on a tight schedule and in Europe part of the time, we needed someone who could efficiently and quickly sell our home with very little assistance from us. In short, we needed a professional we could trust. Jason exceeded our every expectation by selling our home within one week at a competitive market price. Selling a home is always stressful but Jason's polite, personable, and mild mannered approach made it (almost) easy! Most impressive to us however, was Jason's extremely high personal character and business integrity. I HIGHLY recommend Jason Zaitz for any real estate needs you have. I'm a strong believer in sticking with good people and services when you find them. Like finding a good doctor or mechanic, finding a good real estate agent isn't always easy. Real estate transactions are typically some of the largest purchases/sales we make, and the ease and success of those transactions are often determined by the agent. Being new to the area, my wife and I tried two other agents before we found Jason. Dissatisfied with the other agents due to lack of knowledge and professionalism in one, and overall apathy in the other, we were pleased to find Jason who is a very knowledgeable and consummate professional. We found Jason after driving by one of his listings and calling him directly (since our then current agent seemed apathetic about showing property). Jason was immediately positive and helpful with the information we were seeking. Even though it was later in the evening and Jason and his wife were on their way to their "date-night" dinner, he still offered to come by and show us the property. Being the selfish jerks we are, we accepted his offer. Sorry Jason, we still owe you and your wife a make up dinner! That house wasn't right for us, but Jason helped us find the one that was. Being new to the area, we bombarded Jason with questions about the various communities and neighborhoods in the Tri-Valley area, and we had him driving all over the place to show us properties. Through it all, Jason was patient and willing to offer advice or help. His focus was not in pushing for a quick sale, but in making sure we were educated about the area and getting into a home that was right for us and our family. In addition, Jason was extremely knowledgeable regarding the current market, the pros and cons of the various communities and neighborhoods and even the financial institutions and processes involved when the properties were foreclosures or short sales. Being a very competitive market, we put in a lot of offers and dealt with multiple bidding wars, which was stressful and draining, however, Jason was always on top of things. We could count on him to proactively communicate with us, the other agents, banks, etc. to give us the best chance of securing the property we wanted. Ultimately with Jason's help, we bought a great place in a great neighborhood and we are very happy. As I said earlier, finding a good real estate agent is as valuable and difficult as finding a good doctor or mechanic. After my trial and error experience with other agents, Jason is now my proven and trusted "go to guy" for all things real estate. I highly recommend you save yourself some headaches and frustrations and try Jason first. He's a good agent and a good guy, and he'll take good care of the real estate needs of you and your family.I HIGHLY recommend Jason Zaitz for any real estate needs you have. I'm a strong believer in sticking with good people and services when you find them. Like finding a good doctor or mechanic, finding a good real estate agent isn't always easy. Real estate transactions are typically some of the largest purchases/sales we make, and the ease and success of those transactions are often determined by the agent. Being new to the area, my wife and I tried two other agents before we found Jason. Dissatisfied with the other agents due to lack of knowledge and professionalism in one, and overall apathy in the other, we were pleased to find Jason who is a very knowledgeable and consummate professional. As I said earlier, finding a good real estate agent is as valuable and difficult as finding a good doctor or mechanic. After my trial and error experience with other agents, Jason is now my proven and trusted "go to guy" for all things real estate. I highly recommend you save yourself some headaches and frustrations and try Jason first. He's a good agent and a good guy, and he'll take good care of the real estate needs of you and your family. 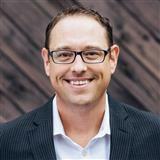 "Jason has been our partner throughout the process of selling our home. We really appreciated his hands-on, no sales hype, communication. We liked him the instant we met him, and he proved to be a wonderful agent who correctly advised us and followed through every step of the sales process with ease. My husband and I work full-time, have a teenager, and lost a family member during the sale of our home. Needless to say, we weren't always ready to talk, easy to reach, and Jason found a way to get our attention and keep things moving in a positive direction. The house sold quickly and we are happy customers.Jason has been our partner throughout the process of selling our home. We really appreciated his hands-on, no sales hype, communication. We liked him the instant we met him, and he proved to be a wonderful agent who correctly advised us and followed through every step of the sales process with ease. My husband and I work full-time, have a teenager, and lost a family member during the sale of our home. Needless to say, we weren't always ready to talk, easy to reach, and Jason found a way to get our attention and keep things moving in a positive direction. The house sold quickly and we are happy customers. "Need you look any further...Jason is the ultimate agent. He will be there for you every step of the way and then some...!Need you look any further...Jason is the ultimate agent. He will be there for you every step of the way and then some...! "Jason is INCREDIBLY patient and professional. My husband looked at over 30 houses with Jason and every time Jason was patient and helpful. During our home search we looked and made several offers before finding the right one. The fact that Jason not only found the perfect house but was able to deal with two very particular individuals who are very much opinionated was a home run for us. Jason is an excellent agent!. I am writing to thank you again very much for the professional job you did in selling my condo in Santa Clara, CA. I appreciate you taking full charge of the situation by first getting an accurate and fair value in place for the selling price. I appreciate all the tips you gave me for making improvements inside and outside the condo to make the property more appealing to prospective buyers. Even though it was a lot of time, effort and dollars spent, I feel as though all efforts paid off in the final analysis. You did a great job getting the condo placed on the multiple listing with very descriptive language, which painted a great picture in the minds of the readers. The photographs you put on the multiple listing and on the flyers you made for the open houses were great and showed the property in its very best light. Your knowledgeable, courteous and timely processing of the sale was a great relief to me because; as you know it tends to be a very stressful time for a seller. Even in a market that was slow, you managed to entice many realtors and buyers to the open houses you held and handled all the many questions and negotiations very professionally. I was extremely grateful to get the full asking price for the condo. I appreciate all the time you spent during the entire process. I have already told all my friends about your great service and if I ever need to sell another property, you will be my choice, again. Rhett and I wanted to thank you for a job well done in the sale of our home in San Ramon in August of this year. We felt your attention to detail, professionalism and sensitivity to our needs was above standard. You worked hard to prepare the flyers for our house and they were exceptional. I had talked with you many times over the years while you were canvassing the neighborhood and when it came time to pick a realtor to take care of the sale of our home, you were our choice. After living in our home for the past 28 years, deciding to sell was an emotional decision of which you were highly sensitive to our apprehensions. At all times throughout the selling process and during escrow, you were available to answer all questions and dealt with all aspects of the real estate process in a very professional and knowledgeable manner. We enjoyed working with you and would highly recommend you to anyone looking to sell their home or buy a home in the area. Looking for a real estate professional can be a very frustrating experience and anyone working with you would be very pleased at the service and knowledge you have to offer. We wish you continued success in your real estate career and want you to know how much we appreciated all your hard work in making the sale of our home a positive experience. I chose Jason to represent us in the sale of our San Ramon home based on reviews I had read here on Yelp and his obvious experience with our Twin Creeks neighborhood and the fact that he had just recently sold a home on our own street. Having bought and sold a few properties over the years I would describe us as fairly sophisticated in our knowledge of the process. We don't need a lot of hand holding. Jason's communications were timely and concise and I am very happy with the level of service we received from him as an agent. I have dealt with agents in the past who seemed to like a lot of drama. Jason was very low key but efficient. He knows his job and he does it well. Of course the figure of merit from the sellers perspective is having received the price they are hoping for in a timely fashion. From that perspective I can tell you that we are very happy indeed. We received considerably more than we hoped for and in positively record time! I would highly recommend Jason as an agent, your interests will be very well represented. When I went to sell my home in San Ramon this past March, I remembered Jason from his mailers, and thought he would be a good fit for selling my home. It was a pleasure working with him, he made the process easy, and always responded promptly to every email and call. When I had first contacted him, I had just wanted to end up breaking even with the sale of my home, and we ended up upping the asking price prior to going on the market and then exceeding that with the sale of the house. I was beyond happy with my experience and he really helped navigate the market for me. I would not hesitate to use him again. "I would HIGHLY recommend Jason. Jason helped us sell our home. He is very honest, prompt with communicating and has a very good understanding of the market in this area and timing. He got us $30k over our asking price! And the process was very painless. If you need a realtor, he's your guy! I had the pleasure of working with Jason when we made an offer on one of his Bank of America owned REO listings. He was an absolute pleasure to work with. A thorough professional, yet very personable. He's a very busy and active Realtor, but he always used to answer the phone whenever I called him and very prompt in replying to my e-mails. He had a casual low pressure attitude, yet his efficient way of functioning was commendable. People like Jason are refreshing to work with and brings the Realtor community a good name. "We recently moved our family cross-country to California and needed to find a home as soon as possible. Jason Zaitz provided us with excellent services and helped us find the right home for us. He is knowledgeable of the real estate market in the Bay Area and accessible. We were relieved to find a realtor who was honest and patient, and made the entire experience pleasant. We highly recommend his services! "If you are looking for a Knowledgeable, Experienced, Honest, Hard Working and Professional Real Estate agent, then Jason Zaitz is your guy! We have bought or sold over 10 times and have plenty of experience with realtors and Jason was the best hands down! We closed our 2 million dollar house with Jason with no problems or hassles. My husband walked into a open house over 10 years ago and met Jason Zaitz. He immediately liked Jason's energy. He found us a home in Alamo and sold our home in San Ramon and also helped us with newly purchased Townhome in Dublin. We were extremely anxious to find a home to move and having sleepless nights. Finding a "right" home was very hard and time consuming for all of us. We were calling him constantly with list of homes we wanted see at last minutes and he accommodated us regardless of his schedule. Throughout stressful process, he was extremely patience. My husband met him when he was just starting out and it is easy to see why he is successful after 10 years in this highly competitive field. Having purchased a condominium for our daughter, my wife Eileen and I were most pleased and extremely happy working with our real estate agent Jason Zaitz. We met Jason nearly 2 years prior to our purchase while he was canvassing our neighborhood in the Twin Creeks area of San Ramon. I mentioned that we might have some future interest in purchasing a condominium in Walnut Creek. Although we apprised Jason that "we were at least a year away from purchasing" he placed us on a "listing email service". He called us every 3 months or so to touch base and at no time did we feel pressured. It was Jason's diligence and follow through that led us to choose him when we finally initiated our condominium search. After we exhibited interest, Jason took the time to meet with my wife, my daughter and myself to better evaluate our specific situation. He was very attentive of our needs (financing, requirements, etc) and asked a number of qualifying questions. These questions allowed us to more effectively pinpoint the most promising condominium complexes in Walnut Creek. *Of important note: he was extremely sensitive to the fact that our daughter has special needs and it was extremely important for her to be in close proximity to a BART station. Jason demonstrated diligence and patience as he escorted and helped us preview a number of properties in the Walnut Creek area. Within a short time, we found the perfect location and the perfect home for our daughter. With Jason's assistance, we submitted a competitive offer and negotiated excellent terms which led to a final and very amenable acceptance for both buyer and seller. Jason kept us updated throughout the escrow process and helped coordinate various required repairs that brought escrow to finalization in less than 20 days! My wife, my daughter and I were most pleased with Jason's attention to detail, his cognizance of our needs/wants, his follow-up, and his ability to maintain an enthusiastic and positive attitude throughout the entire sales process. We were thrilled with Jason's service and recommend him to all friends and acquaintances who are interested in buying or selling property in the East Bay. P.S. My younger daughter also recently purchased a condo from Jason-- he exhibited the same professionalism while finalizing this sale.